For many children, taking care of an elderly parent can be overwhelming, and it often results in family conflicts. This is especially the case if an elder parent or relative wishes to remain independent even though their decision-making capabilities are impaired, and they’re unable to handle everyday tasks. When senior parents have to go through a major change, it can create confusion about issues like wills, caregiving needs, and residence situations, and these crucial decisions are postponed. What happens later can divide a family and sever communication ties, so the only way everyone can move forward is to come up with a solution. 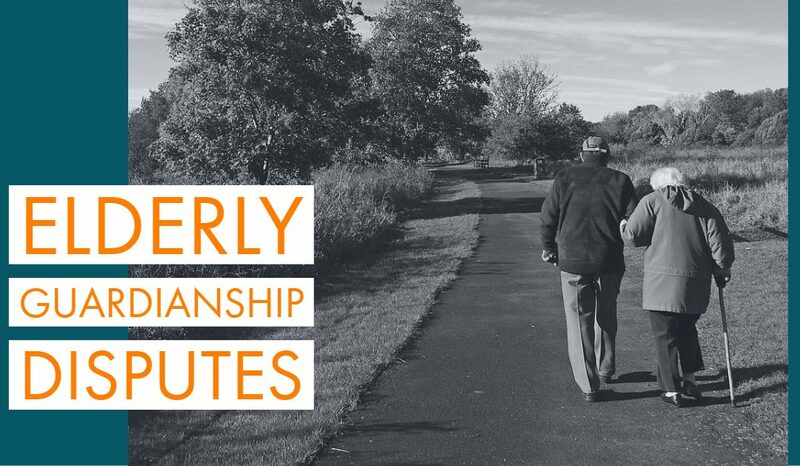 Not addressing important concerns can put a strain on relationships between family members, and only elder planning can lead to an improvement. In cases like these, litigation can seem like the only solution, but this can worsen relations even further. It would be feasible to rely on alternative methods of dispute resolution, such as mediation. Family mediation is the service that helps families resolve disputes with the help of a neutral party that assists the parties involved, in agreeing. A mediator does this by accommodating a discussion between parties, giving them guidance regarding advisors and resources. It’s considered to be a far more suitable method for issues about elder guardianship than litigation. Mediation improves communication, lessens resentment, reconciles opposing views and results in better decision-making. What does Family Mediation Involve? Family mediation involves coming to a solution that’s mutually acceptable for all parties involved, through a series of meetings between the clients and the mediator, who is trained to remain neutral during the discussions. They can guide family members with experience, listening attentively and brainstorming to propose a realistic solution. The clients are in control of the result that is considered; a mediator only needs to direct the conversation in a direction that will entail a productive discussion. A misguided view of family and elder mediation is that legal representation, marital counseling or psychotherapy is involved. On the contrary, mediators who have a background in mental health or law don’t counsel or represent clients during the process of family mediation but facilitate constructive discussions. Why is Mediation Suitable for Issues Relating to Elders? Unlike litigation, which only involves two parties, elder mediation involves the participation of multiple relatives including the elder parent. Also, it provides all members of the family with a safe space to talk about their concerns. Opting for an alternative method of resolving a dispute, like mediation, avoids the involvement of a court, which can make things much more difficult to manage. Compared to litigation, relationships are much more stable after mediation. This is because litigation naturally takes control away from the parties involved while mediation gives families a chance to form their solutions. Courts don’t have a responsibility to make a decision that suits everyone’s needs because judges will assess the case based on their interpretations of the situation and application of precedent. Therefore, court decisions have a lower chance of being satisfactory for everyone in the family. Since the guardianship of elder relatives is the main point of discussion, it’s essential that the family resort to a method that makes the senior feel heard. The adversarial nature of courtroom litigation can turn seniors against their children or relatives, making mediation feasible since it promotes understanding and elders will be more likely to trust their children’s judgment. Not to mention that hiring attorneys and taking the matter to court can cost significantly more than hiring a mediator to facilitate a decision-making discussion. Some children take their senior parent’s inability to do a type of task as an indication that they can’t do anything. Siblings can also have a conflicting opinion as to what’s best for their parent versus what their parent wants. Discussions on topics like these can often get emotional and heated, which makes it essential for a neutral third party to be present, so they can direct the discussion in a way that the clients can agree. Even family courts don’t have the time to deal with the problem in a way that satisfies everyone, so their decisions are more likely to put families in a difficult position financially and socially. When it comes to the guardianship of an elderly family member, it can be difficult for children to convince seniors they can’t live on their own because they’ll be unable to handle everyday activities and tasks. For obvious reasons, they will want to have a say in any arrangements that will be made for their residence and guardianship. A mediator can encourage a healthier conversation between adult children and their senior parent by interpreting and stating their terms; their involvement can make it clear what a senior needs help with and what they can manage on their own. The thought of leaving home can be intimidating for many seniors, so many of them consider hiring a caretaker to fulfill their needs. It can be financially draining for a family as a senior grows more dependent on a caretaker. Despite being an affordable option, most senior parents don’t agree to the decision of moving into an assisted living facility. Without a mediator, the family would discontinue the discussion because every time others bring up the conversation of their senior relative living in a care facility because of medical and financial needs, it would end up in an argument. Seeking help from an elder mediator is a far better solution that saves time and relationships. To implement the change, the senior will have to take other decisions as well, like selling their home to pay for living at an assisted care facility. Whenever adult children have to deal with a parent going through a significant change in their lifestyle, it becomes difficult for them to adjust. In most cases, this is because of a medical issue relating to surgery or a loss of memory. Seniors will find that they can no longer carry out regular activities and chores as easily as before, and their children and family will find themselves filled with worry about the elder. If the issue persists and the involved parties continue to avoid or argue about it instead of coming up with a solution, emotional and financial loss can ensue as a result. Moreover, seniors who continue to live without proper care, safety measures or guardianship, can suffer from distress from living in an environment that isn’t suited to their impairment. Although mediation is an alternative to litigation, it’s much more than a last resort, minus the lawyers. Hiring a mediator for elder guardianship issues is more effective when the family chooses mediation as a first response. At the initial stages of decision-making, most families are still collecting and gathering facts and discovering each other’s opinion on the situation, and this makes it harder to think clearly. Choosing litigation at such a crucial time means going to a court with half the facts and an unfocused mind, and unfavorable consequences will follow. Elder mediation processes details and empowers families to agree; this is something that courts can’t do. Judges and courts barely have the resources or time to look at the different options at their disposal, let alone come up with new ones. After all, the decision needs to reflect the senior’s best interests, but avoid spurring conflict between members of the family. In a situation that calls for selling the family home or treasured heirlooms, the parties involved can let their emotions get the best of them. Since complicated decision-making is much-needed, children and their senior parents put off the discussion until matters exacerbate. Despite the sale of assets being the only way for a senior parent to receive medical treatment or residence in a care facility, factors like rivalries, insecurities, and emotional attachment can hinder the process. Choosing the route of litigation will only result in the assets being sold, and damaging relationships between parents and siblings. On the other hand, family mediation will help in creating a realistic plan that caters to everyone’s needs while helping them conclude that this is the best possible solution. To conclude, senior mediation is a suitable route of alternative dispute resolution for situations about the guardianship of elderly parents. Siblings and parents can assess the situation from the point of view that is practical and focused while maintaining the integrity of family relations. It’s beneficial for all parties involved; everyone emerges as a winner because they haven’t lost their family.